Remember when the Chicago Blackhawks opened their 2017-18 season by defeating the defending Stanley Cup champion Pittsburgh Penguins 10-1? Yeah, those were the days. The Hawks made a statement that night, and the sky was the limit. Unfortunately, the season didn’t play out too well in the long run. We all know the scoop. The Hawks finished in April with a record of 33-39-10, for 76 points. This was dead last in the Central Division and 25th in the league. Several things factored into such a dismal year. 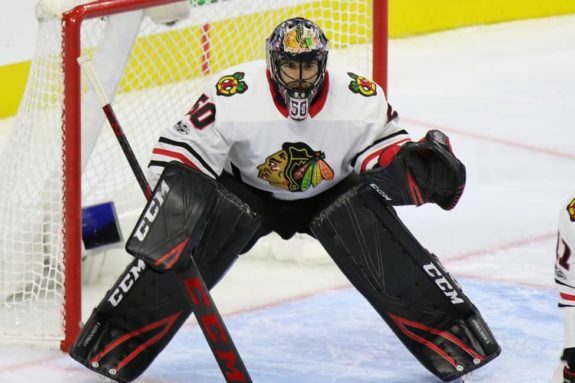 The Hawks lost their starting goaltender halfway through the season. Their blue line was a weak link. Special teams didn’t produce. The veterans were all just average. But for most of you reading this piece, the Blackhawks are still your favorite team. You’re all at the beginning stages of the long plod towards October and a brand-new start. In the meantime, you’re looking for some hope that your team will be better next season. Today we’ll compare the lineups from the beginning of the season and the end. What has changed and what has stayed the same? What might this imply for next season? Let’s take a look. That had the makings of a pretty good lineup, no!? 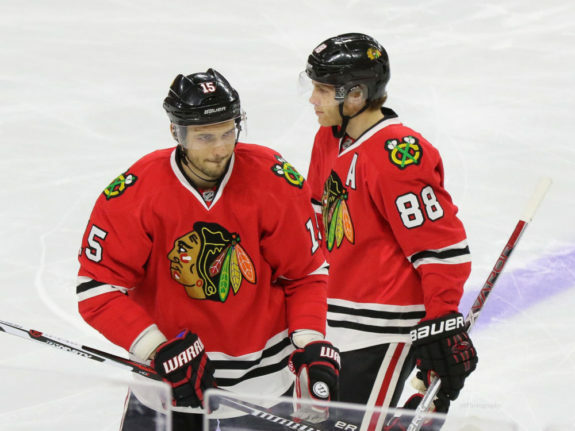 Saad and Toews were reunited and ready to do some damage. Panik was coming off a season where he scored 22 goals and 22 assists playing mostly alongside Toews. Kane had a new center to play with in Schmaltz, and Hartman around for some net-front presence. Sharp was excited to be back in Chicago after two years in Dallas. 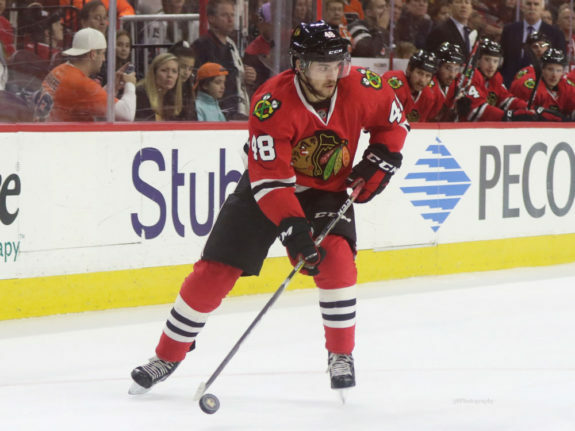 He was also set to take the highly-touted rookie DeBrincat under his wing. Anisimov was primed to shore up the bottom-six, and step back into a top-six role if the Schmaltz experiment didn’t work out. 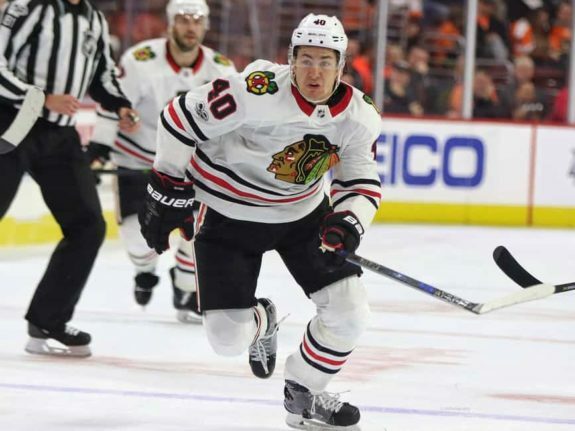 On the fourth line, Hayden was another long-shot to make the team that couldn’t wait to get started, with the steady presence of Kero and the veteran Bouma by his side. On defense, Keith and Seabrook were long-time partners set to continue the glory of winning three Stanley Cups. Murphy was a new strong and physical presence to add to the blueline depth as a top-four defenseman. This was the year Kempny would gain some consistency. Forsling and Rutta were ready to take the next steps in their development. And then, of course, there was Crawford as a rock in net. We should first start with a disclaimer. The Blackhawks were well out of playoff contention at this point, so they weren’t icing their strongest lineup. They were instead giving many youngsters a look in preparation for the future. But it’s worth our attention to examine what has remained relatively constant from the beginning of the season to the end. Toews wasn’t in this lineup because he was out with an injury for the latter part of the season. He will unquestionably still be the top-line center for the Blackhawks. Kane, Saad, and Schmaltz all remained part of the top-six forwards. Anisimov actually played top line center for this contest, although he centered the second line the previous game. Either way, it appears the Hawks will continue to lean on him for center depth. DeBrincat remained part of the bottom-six forwards, as he did at the beginning of the year and for most of the season. Moving on to defense, Keith and Seabrook started the year and ended the year as the top defensive pairing. Murphy remained a member of the top-four defensemen, most specifically on the second pairing. Rutta, as well, held his same position on the right side of the third pairing. We’ll get to some exceptions below, but it’s highly likely many of these trends from the 2017-18 season will remain the same at the beginning of the 2018-19 season. This is where things get interesting. Let’s dive right in. Panik did not live up to expectations and was traded in early January. Hartman was traded at the deadline to the Nashville Predators. Patrick Sharp has retired. Bouma, Kero, and Hayden all eventually found themselves sent down to the Rockford IceHogs, where they’re currently helping in the team’s quest for the Calder Cup. Looking back at the above lineup, there are a number of new names. Hinostroza (50 games), Kampf (46 games), Martinsen (9 games), Edjsell (6 games), and Sikura (5 games), are all forwards that could factor into next year’s plans. Anthony Duclair (56 games), Tomas Jurco (29 games), and Matthew Highmore (13 games) are three forwards that contributed this past year but did not play the first or final contest of the season. Defensively, Forsling was reassigned to the IceHogs in late January. Kempny was traded to the Washington Capitals in late February. New names include Oesterle (55 games), Gustafsson (35 games), and Hillman (4 games). Carl Dahlstrom didn’t play in the first or last games, but had a stint where he suited up for 13 tilts with the Hawks. Finally, let’s not forget the revolving door in net this season. After Crawford was injured in late December, Anton Forsberg, Glass, Jean-Francois Berube, and Collin Delia all had varying success and failure between the pipes. It’s safe to say there was a lot more change than constants this season for the Blackhawks. This could factor into their disappointing 2017-18 campaign. It could also be a positive sign for the future. After all, change is good, right? Not to mention this discussion doesn’t even take into account any offseason changes. Here are some parting thoughts. It appears from the implications of this piece that Anisimov will be counted on for center depth next season. Yet he’s also a top contender for a trade. After losing his second line center spot, it could be argued Anisimov doesn’t fit into this lineup anymore. He’s also due a hefty $4.55 million next year. The Hawks could potentially get more in return for him than in keeping him. DeBrincat played mostly on the third and fourth lines this season. But he also scored the most goals (28), and the second-most points (52) on the team. He’s a dangerous playmaker that could potentially do the team more good in a top-six role next season. He now also has the experience to warrant more responsibility. Of all the players sent down to the AHL this season, it’s this writer’s humble opinion that Hayden is the most likely to be back with the Hawks to start next season. His combination of grit and skill could even see him slot into a top-six role as well. Seabrook started and ended the season on the top defensive pairing, but he actually played mostly on the third pairing. This is also where he had the most success. It’s hard to justify paying someone $6.8 million to play on the third pairing, but Seabrook has a no-movement clause in his contract and he isn’t going anywhere. This is the reality for the Hawks headed into next season. Rutta and Gustafsson both signed new contracts at the end of the season, meaning they will more than likely be everyday players on defense next year. The kids will be the X-factor. Let’s face it. Young, new players were in both the opening night lineup and especially in the final game lineup. How the kids fit in will play a huge factor in determining the success of the 2018-19 team. Finally, this past season proved how much this team relies on Crawford’s stellar play in goal. 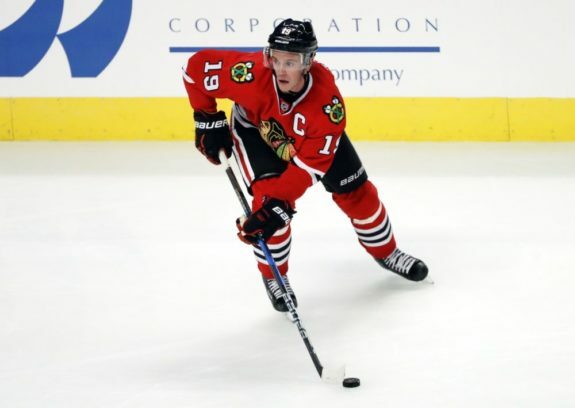 Blackhawks fans should all hope and pray he can return to full form next year.